It's easy to get around the Island using personal vehicles, public transportation, bikes, rental cars, mopeds and your feet. The following information will guide you through your choices. Depending on where you are staying, and the amount of time you plan to spend here, you may or may not wish to bring a car. If you do want to bring your car onto the Island, you must book a reservation with the Steamship Authority well in advance of your trip. 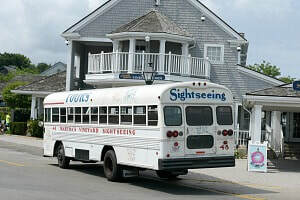 ​Martha's Vineyard is home to the Vineyard Transit Authority (VTA), which offers a comprehensive bus system that connects all towns: Edgartown, Oak Bluffs, Vineyard Haven, Aquinnah, Chilmark, and West Tisbury. 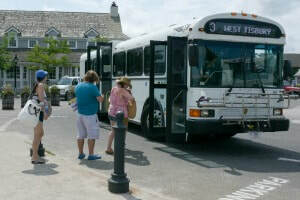 Frequency of service varies with the season, but buses run regularly and reliably year-round and are a great cost-effective way to see the beauty of the Island. You can pay as you go, or purchase 1-day, 3-day, or 1-week bus passes on the buses or at the Steamship Authority. 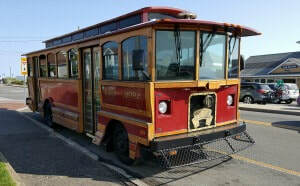 All VTA buses are handicap accessible, and are equipped with bike racks. Visit their website to view their suggestion on how to see the Island in one day using public transit as well as current schedules, route maps, fares and additional information. 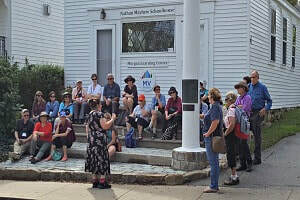 There are numerous group and private tour companies available to help you see the beauty of Martha's Vineyard. Tour buses are usually located at the Steamship Terminals and most other incoming ferries and often depart on regularly scheduled times. Private group tours are another option in passenger vans. Aerial tours are available to give you a birds-eye view of the Island, and wonderful narrated walking tours provide you with in-depth detail on towns and subjects of interest. Visit our Tours page for a directory of tour providers. Taxis meet incoming ferries and car rentals are available within walking distance from all the major ports. Taxis are equipped to handle bikes on a first-come first-serve basis. It is recommended during the summer months to reserve a rental car prior to your arrival. Ride share options are also available. 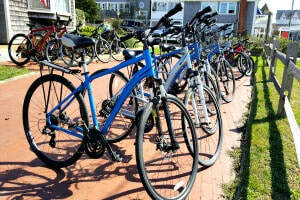 The Island of Martha’s Vineyard is extremely bicycle friendly. With designated bicycle paths throughout the island, and bicycle tours that showcase the beauty and intrigue of the Island, two wheels may be all you need. There are also bicycle dealers, bicycle rentals, and bicycle repair shops available on Island to meet all your two-wheeled needs. Click here to visit our map of bike trails. 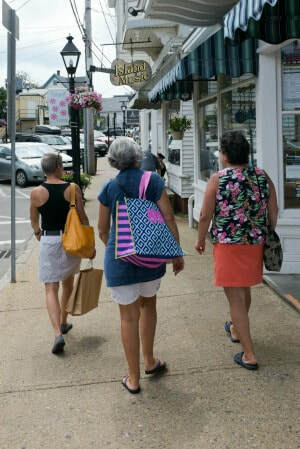 All three of the main port towns (Vineyard Haven, Oak Bluffs, and Edgartown) are easily walkable. And since both Vineyard Haven and Oak Bluffs have ferries that service the towns May - October (Vineyard Haven, year round), your own two feet might just be all the transportation you need for your visit! Moped Rentals are also available!